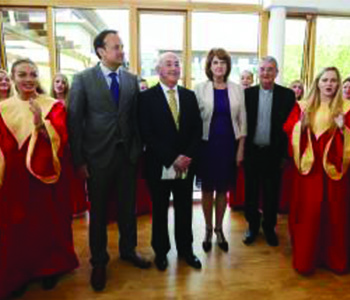 On the 23rd May 2015 Minister for Health, Leo Varadkar officially opened St. Francis Hospice Blanchardstown, at a blessing ceremony presided over by Archbishop of Dublin Diarmuid Martin, D.D. Located at Abbotstown, close to Connolly Hospital, the new €24.5 million 24-bed facility provides a full range of specialist palliative care services in the West Dublin community. 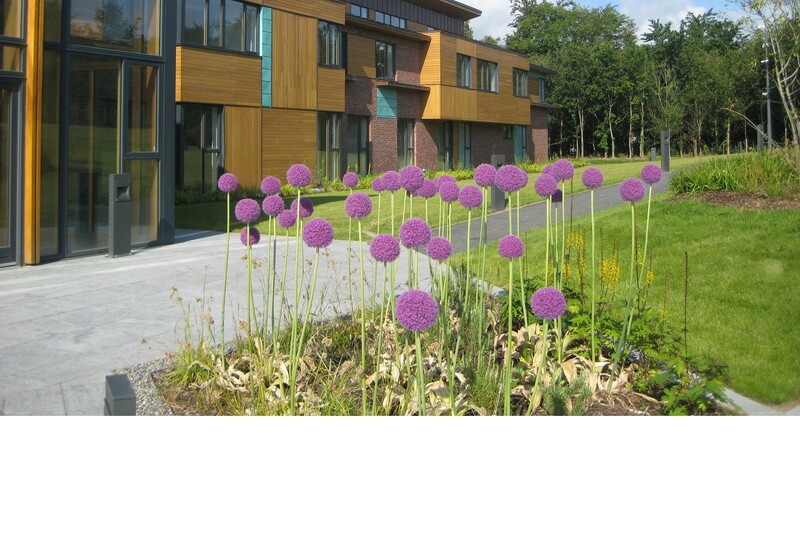 Minister Varadkar said: “St Francis Hospice is a superb facility providing specialist palliative care services, and will reach more people in need of care. It will make a real difference to patients and their families. It’s here today thanks to support from the local community and very many others. The Fundraising Group led by Fr Dan Joe O’Mahony and Fr Eugene Kennedy made a massive contribution of €7 million. I want to congratulate them for their fantastic effort, along with the Chairman Justice Peter Kelly, and the Directors of St Francis Hospice Dublin. There’s one person who can’t be with us today but we should remember him. Brian Lenihan secured the land. He is here in spirit, I am sure. It’s a real privilege for me to open the hospice and I am so glad the HSE was able to fund the opening of the hospice inpatient unit during my period as Minister. Looking around today, and hearing the many stories of the people who have benefited from the services and supports, I am reminded of the prayer of St Francis and his inspiring words. This is a place which challenges the despair, the darkness and the sadness of ill-health, and replaces them with hope, light and joy. Those three simple but powerful words could be used as the motto of St Francis Hospice: this is a place that brings ‘hope, light, joy’. We cannot defeat all disease, we cannot banish all grief, we cannot defeat death. But it doesn’t mean that we have to give up or give in. To all the staff who work here and who make it their life’s mission to treat people with dignity and respect, who care for the community with love and kindness, I say ‘Thank You’. You ensure that St Francis Hospice offers us a safe haven where people can be consoled, cared for, and loved. Today reminds us of those values, and encourages us all to think of others instead of ourselves."